This dish makes a regular appearance on our weekly menu, accompanied by Carrot and Cashew Nut Pilau, simple steamed green vegetables and a dollop of thick natural yoghurt. Heat the oil and sauté the onion until transparent. Add the ground spices and sauté for a few seconds. 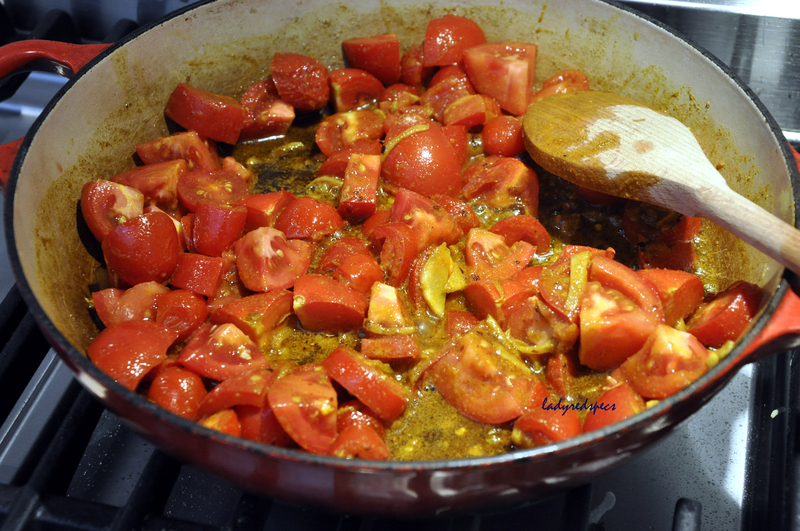 Add the garlic, ginger, tomatoes and water and cook until the tomatoes are soft and pulpy. 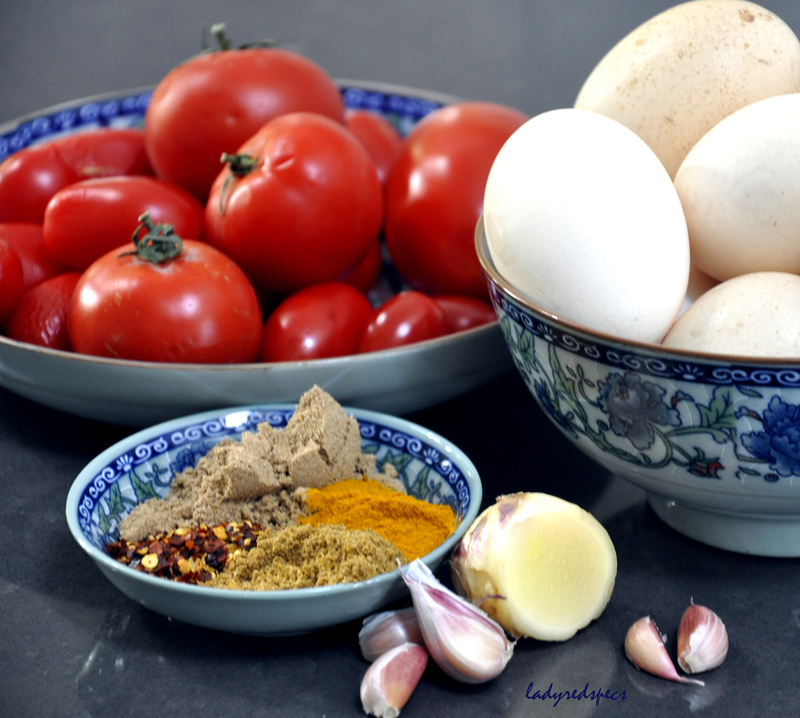 Season with salt to taste, stir through the garam masala, then place the halved eggs on top to warm through. Serves 4 with other dishes. Your photography is incredible! What camera do you shoot on? I’m absurdly hungry now. Your weekly menu? Menu?! Good heavens, Sandra, you’re going to have to adopt me. ooh, that looks delicious for a nice brunch! This definitely looks good! 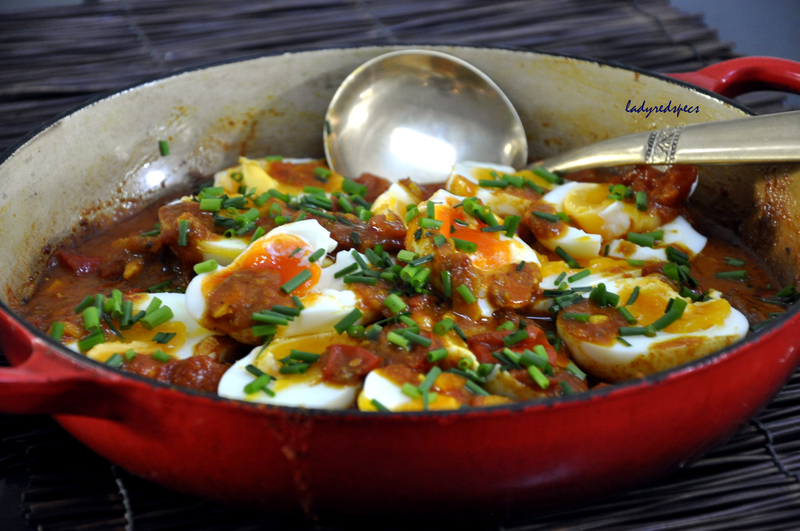 Eggs in curry = heaven. Yummeh! This entry was posted on April 24, 2013 by ladyredspecs in FODMAP diet, Food, Gluten Free, Indian Food, Light Savoury Dishes, Main Meals, Vegetarian and tagged cook, cooking, curry, dinner, eggs, flavours, FODMAP friendly, food, garam masala, gluten free, meal, quick, recipe, sharing, simple, spices, tomato, vegetarian.